The following press kit files are available for download. To download the files to your computer, right click on your choice and choose either "Save Target As" or "Save Link As" depending on your browser. Tim has been playing drums professionally since the age of 14. He graduated with honors in percussion from The Musicians Institute in Los Angeles and has traveled the world playing in a diverse list of settings ranging from jazz, blues, rock and R&B to pit orchestras, big bands and Gospel artists. He has been the leader and a founding member of Phat Daddy since 1999. "If you're breathing, you should be living." I moved from Dallas, TX to Denver where the air is magnificent. I am breathing deep and living gloriously. Born and raised in Denver Colorado, Dan Perkins knew from a very early age what his passion and career path would be. Dan began singing before he could talk and his mother encouraged and nurtured his talent. One of Dan's earliest memories is sitting in front of his mother's record player and listening to Earth Wind & Fire albums. R&B surrounded him every day as well as all of the classic rock he could handle. At age 8, Dan was accepted into the Denver All City Children's Chorale and continued to sing in choir throughout middle school and high school. At age 16, Dan and a few friends put together an acapella group and jump started his professional singing career. After winning numerous local and national competitions, his group had their first record deal and followed it up with an extensive three year long national tour. This tour got the attention of producers in NYC and Graffiti Tribe was born. Dan and Graffiti Tribe were willfully stuck in the boy band craze. This ran its course and Dan moved back to Denver to start his family and remain in the city that he loves. Dan has performed for millions worldwide and shared the stage with major players, including the Neville Brothers, The Roots, and James Brown to name a few. Often compared to George Michael and Adam Levine, he is a force to be reckoned with in today's ever changing business of music. 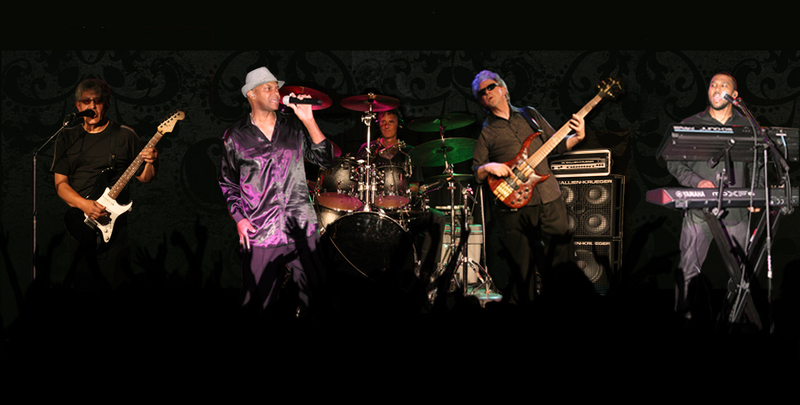 Phat Daddy bassist and co-founder Jeff Smith has over 35 yrs. of experience anchoring the rhythm sections of several successful bands across the country. He has also led many local bands including The Gravity Band, High Profile and Beyond Control. His solid funky playing and stage personality make him an integral part of the Phat Daddy dance experience. “The highlight of my musical career was a chance to play a few tunes on stage with virtuoso drummer Dave Weckl of the Chick Corea Elektric Band, but playing a great groove to a packed dance floor with Phat Daddy is right up there!